The Department of Paediatric Haematology and Oncology at Addenbrooke’s Hospital is a multi-disciplinary team offering specialist care for children with blood disorders and cancer. It is the regional referral centre for 12 district general hospitals across the East of England. 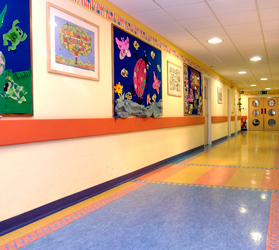 Children with cancer and blood disorders are looked after on Ward C2 at Addenbrooke’s Hospital. 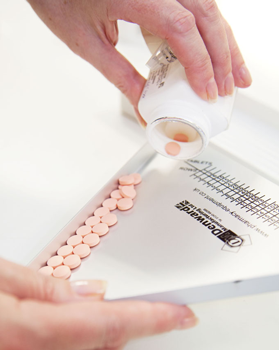 As well as delivering outstanding patient care, the department is involved in clinical research and recruits patients onto national and international haematology and oncology trials. The department has recently been accepted to recruit patients onto the Innovative Therapies for Children with Cancer (ITCC) phase 1 and phase II haematology and oncology studies, joining nine other centres in the UK. 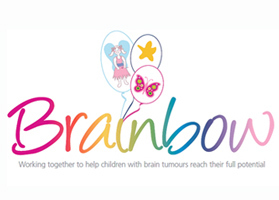 Brainbow is a partnership between three independent charities – Anna’s Hope, Camille’s Appeal and Tom’s Trust, working with Addenbrooke’s Hospital – to fund and provide a pioneering rehabilitation service in the East of England for children with brain tumours. The service, launched in September 2013, offers co-ordinated specialist neuro-rehabilitation (physiotherapy, speech and language therapy, occupational therapy and clinical psychology), assessment, and some treatment for children with brain tumours. 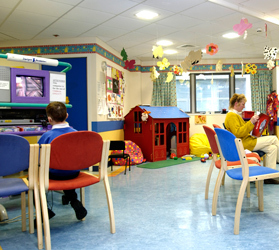 Members of the department also have key roles in national and international groups, such as the Children’s Cancer and Leukaemia Group (CCLG) and research networks, such as the National Institute for Health Research Cancer Research Network (NCRN), which is responsible for the development of new trials and guidelines, and for providing the infrastructure that allows high-quality clinical research to take place in the NHS for patient benefit. Members of the department are also engaged in a variety of nationally and internationally recognised translational research projects in collaboration with other departments within the University of Cambridge, and beyond. This research includes malignant germ cell tumours (Dr James Nicholson and Dr Matthew Murray), lymphoid malignancies (Dr Amos Burke) and Wilms’ tumours (Dr Boo Messahel).